(BINGHAMTON, N.Y.) — Mayor Richard C. David on Friday announced the City is partnering with Cornell University’s Design Connect program to develop a reuse plan for the original entrance to the historic Ross Park, which today includes the Binghamton Zoo and the Discovery Center. Ross Park opened in 1875 with a main entrance on Park Avenue, which was accessible by the City’s railway car system. As automobiles became more common, the park relocated its main entrance in the early twentieth century to accommodate vehicular traffic. The original Park Avenue entrance was rendered largely obsolete and fell into disrepair. 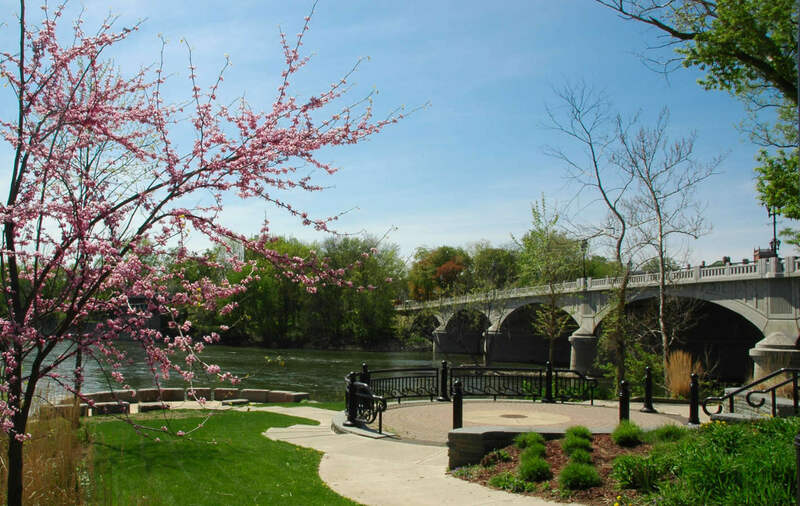 Last April, the City submitted a proposal to Cornell University’s Design Connect program for the development of a reuse plan for Ross Park’s original entrance and path. Design Connect is a multidisciplinary community design organization at Cornell University that partners municipalities and non-profits with students who provide design and planning services. The student-run organization charges $500 per project to cover travel expenses and material costs incurred by the students. Design Connect has worked on more than two dozen projects around Upstate New York since its inception in 2008, providing practical experience to students in the process. A project team from Design Connect will work on developing the Ross Park plan throughout the fall semester, with assistance from the City and input from the public. Once complete, the City will seek funding opportunities to complete the recommendations. The Design Connect team will make an initial site visit to the park Saturday to meet with representatives from the City’s Department of Planning, Housing, and Community Development and the Binghamton Zoo. Design Connect expects to hold a series of public meetings with residents and other stakeholders to gather input for the plan. The first resident meeting is tentatively planned for mid-October.